Trip Advisors 2017, 2018 & 2019 Travelers’ Choice Award for Top 25 B&B’s and Inns in the USA. 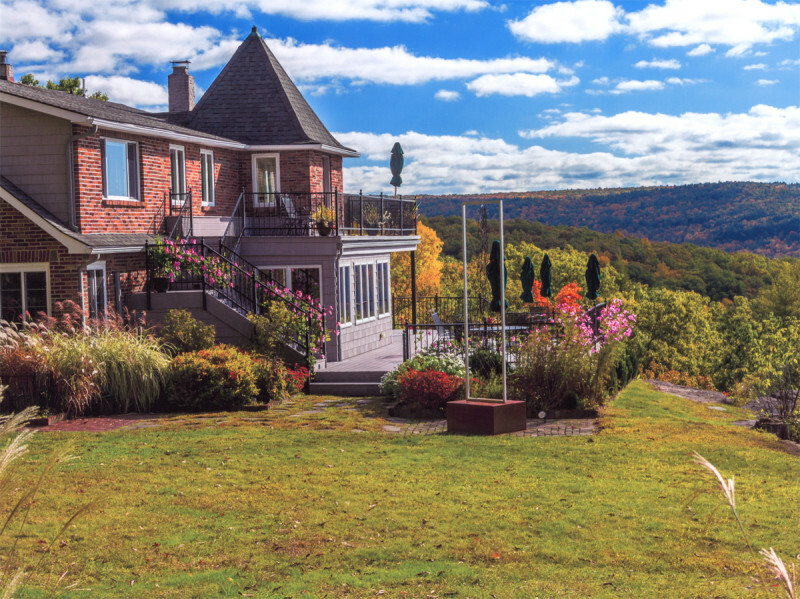 An award winning mountain house perched on a bluff 300 feet above The Upper Delaware River. Located on 60 acres with scenic hiking trails, ECCE offers panoramic views of both The Catskills and Poconos mountain ranges. The 5 elegantly appointed bedrooms all have private baths (some w/whirlpool tubs) and refreshment centers w/complimentary snacks and beverages. Savor gourmet country breakfasts on outdoor decks overlooking the river. An ideal setting to celebrate birthdays, anniversaries and reunions. Minutes from Upper Delaware River trips and The Bethel Woods Performing Arts Center, site of the original 1969 Woodstock Concert.